I am here again, yup! 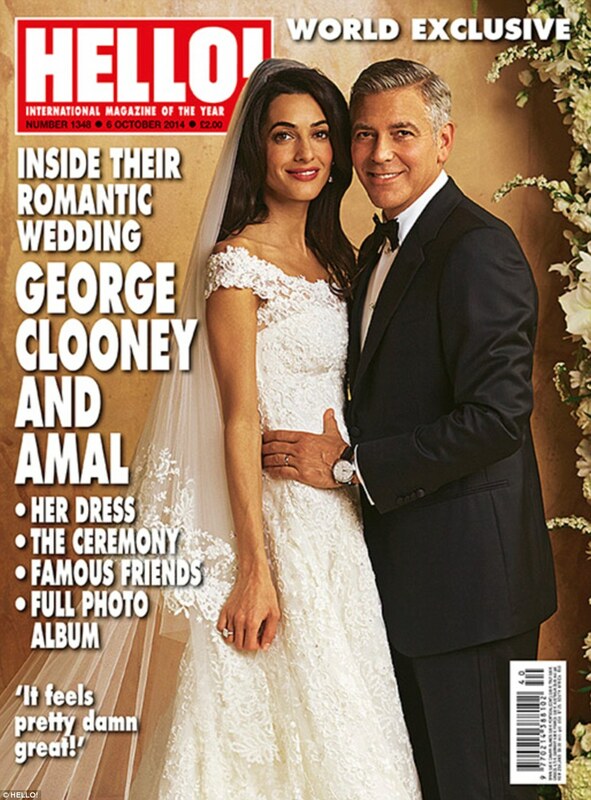 But just because I couldn’t just leave for tomorrow to share with you my thoughts about the most recent celebrity wedding – George Clooney and Amal Alamuddin! They married last Saturday in Venice, Italy in front of family and celebrity pals as we would expect. 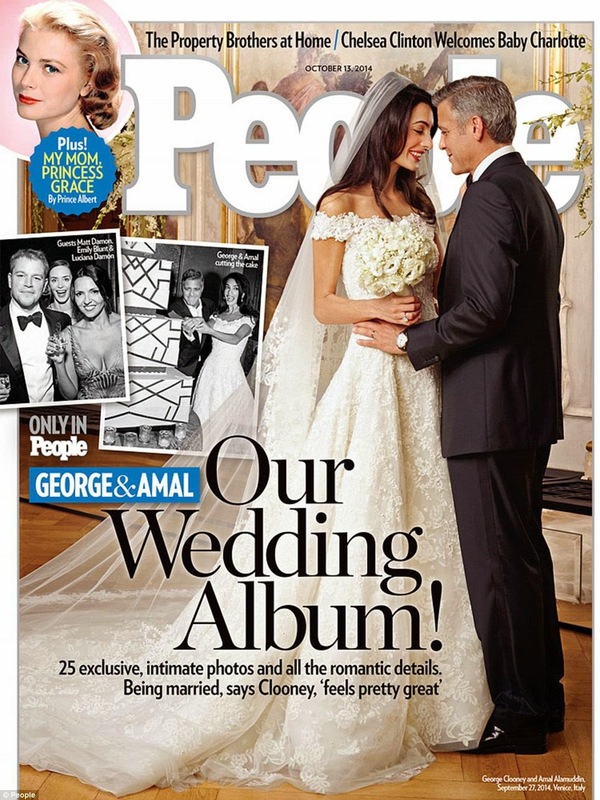 Many photos are being revealed today and it is all over the Magazines covers. They decided to sell the photos to these two magazines (and maybe more?) to then give the money to charity which I must say is very impressive but we couldn’t expect any less from this gentleman, right? And I now what you want to see in more detail, I know…. the dress! What about the dress? Well I have a photo for you even you haven’t seen it yet…. Simply gorgeous, I must say. It is the kind of dress that maybe it won’t suit everyone but when it does, it looks beautiful and gives the bride a marvelous silhouette. She is elegant, she is shinning of happiness, she is just beautiful. She looked totally dreamy. I only wish I could be this elegant and amazing on my wedding day! Oh well… keep dreaming Lisa. 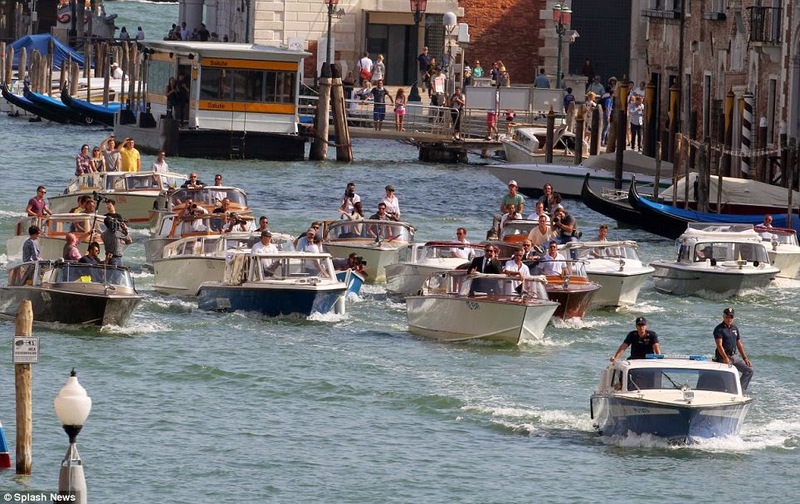 They celebrated they’re wedding throughout the weekend with many exciting stuff that it is not worth mention as we all will get all jealous so… to finish this short post I would just like to share another photo where it shows us how many people – fans and press – followed the newlyweds in their water taxis. Amazing. Photos and Info from Daily Mail.